From a sporadic late-nineties outlet for the work of label founder David Sumner aka Function and his contemporaries, Infrastructure has re-emerged in the last two years as a busy and consistent platform for modern electronic music. Re-launching with a collaboration between Sumner and long-time colleague Ed Davenport aka Inland, the pair released Function/Inland‘s ambient techno EP ‘Odeon / Rhyl‘ as INF-012 in May of 2014, marking a new wave of material on the label which had been dormant since Sumner’s first material on Sandwell District emerged in 2007. Now Infrastructure introduces it’s next milestone – Facticity. A 4 x 12” vinyl box set & CD featuring 15 tracks by key artists, label colleagues and new faces. Facticity represents the foundations of what Infrastructure stands for – a manifesto for 2016 and beyond. Function, Inland, Function/Inland, Campbell Irvine, Post Scriptum, Cassegrain & Tin Man, Rrose, Efdemin, Vatican Shadow, Silent Servant, Blue Hour, Steve Bicknell and Cleric all feature, spinning a narrative ranging from lush, ambient electronics and post-club diversions, to contemporary club techno and back again. 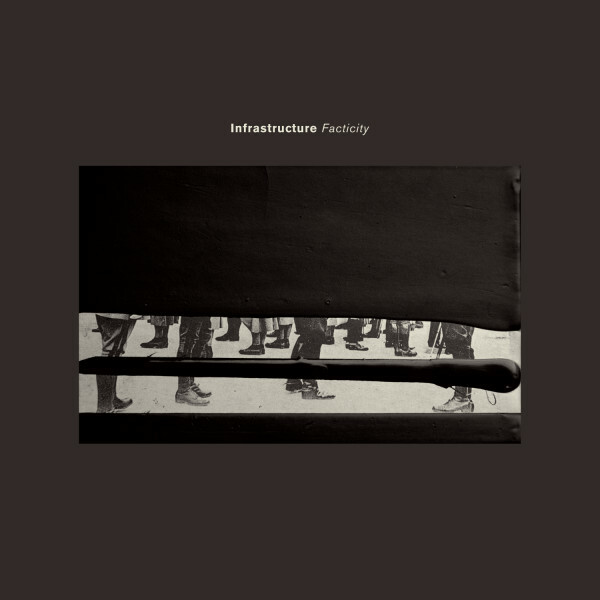 Infrastructure regularly works with up-and-coming artists on cover artwork. Respected young Swiss artist Julian Charrière provided the iconic greyscale cover for Post Scriptum‘s debut LP (INF-020), and London based photographer Guy Archard‘s work featured on Campbell Irvine’s ‘Reunion of Two Bodies‘ Maxi-EP (INF-018). Now the celebrated British fine-artist Robert NcNally has been invited to submit original artwork for Facticity. Selected by Jake and Dinos Chapman to show work at the prestigious Flowers Gallery in London, and commissioned by Damien Hurst to provide work for his private collection, Robert’s incredibly detailed large scale pencil drawings are attracting serious interest in the modern art world. McNally‘s cover image was selected from a series of works based on adapted antique post cards. Its anti-establishment, censorship-related overtones are clear to see, as is the stark use of contrast – thick layers obscure the fading original, re-appropriating it.